A cat’s housing needs are simple. Whilst they will usually find a corner that suits them best indoors or outdoors, provide them with a basket, box or chair in a place where they feel safe and protected. Increasingly, people are using cat enclosures for outdoor cats. Placed in a weatherproof area, they keep them safe from neighbourhood cats and protect local wildlife. Indoor cats generally live longer and lead healthier lives. It is also recommended a scratching post be available for your cat to keep their claws in good condition for climbing and defending themselves. This will also reduce the chances of your furniture being scratched. All cats need to exercise. As cats naturally like climbing and perching themselves up high, trees and fences, for example, provide good opportunities for them if they have outdoor access. Indoor cats, however, will use furniture to climb and perch. Once again, having a scratching pole or indoor cat gym will give an indoor cat an effective alternative. Providing higher perching locations will also give your cats a more enriched environment. Most cats require grooming assistance from their owners to remove excess hair. This helps in the reduction of furballs / hairballs and matted / tangled fur, which if left, may result in a visit to us. Except at moulting time, short haired cats are able to groom themselves adequately. In contrast, long haired cats require daily grooming by their owners. Furballs or hairballs can cause appetite and weight loss, and in a worst case scenario, result in surgery. During the moulting season daily brushing is essential and food designed specifically to assist with the reduction of hairballs will also help your cat process shed hair. Unlike dogs, you should not need to bathe a cat. Most cats are grazers, so we recommend feeding small amounts often. They require a high protein and fat diet, and have very specific nutritional requirements (amino acids) which can only be provided in commercially prepared cat foot. There are many formulations of cat food available and we recommend discussing your cat’s individual nutritional needs with us to choose the most suitable formula. A correct diet is also very important in maintaining good dental health. 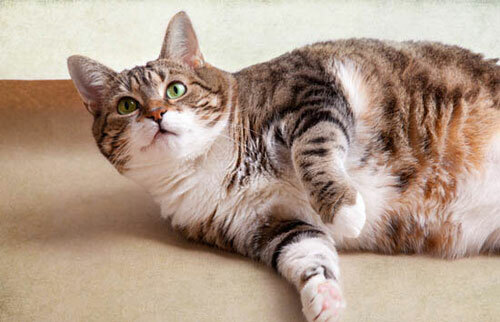 Ensure a fresh water bowl is accessible at all times, especially if they have a dry food diet. Whilst many cats love to drink cow's milk, it is not recommended as they can be lactose intolerant and experience stomach upset. Cats require a minimum of one health check per year. Regular visits help us diagnose, treat and even prevent health problems before they become life-threatening. Routine vaccinations, worming and flea control form the basics of feline medical care. We also provide additional guidance on nutrition, behaviour, training and life-stage treatments.